JBC Tools PA120-A Micro Tweezers are designed for soldering and desoldering SMD components easily, reducing handling time. 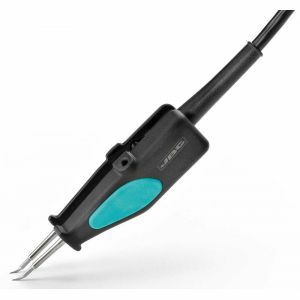 PA120-A JBC Tools Micro Tweezers works with two cartridges managed individually by the control unit to ensure the maximum accuracy and a quick temperature recovery. Each one can provide up to 40W if it is required. The ergonomics and the short distance tip-to-grip also ensure greater accuracy and comfort when working. JBC Tools PA120-A enables to align the cartridges according to the needs in order to adapt them to the component. The PA120-A works with C120 range of cartridges. Purchase the JBC Tools PA120-A Hot Micro Tweezers Today!